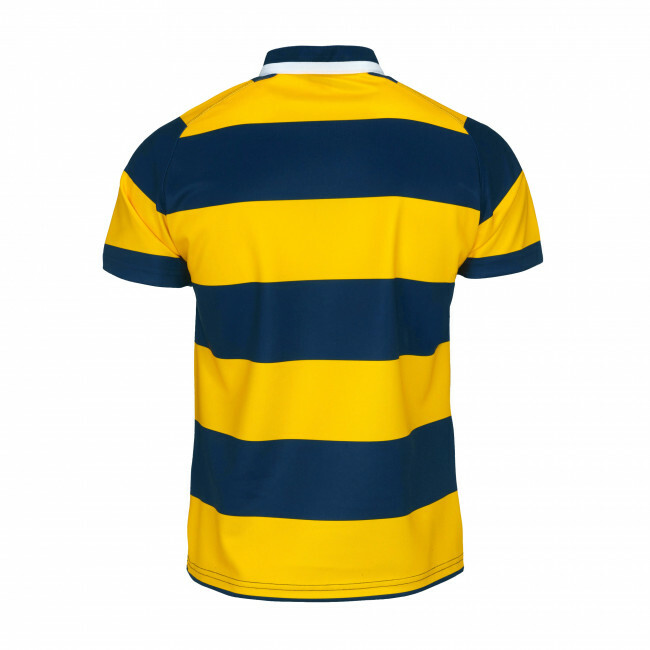 Rugby short sleeve jersey for boys. Sublimation printed with mandarin collar and raglan sleeves. Single button herringbone tape placket. Normal fit. 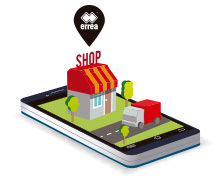 Colour-customisable. 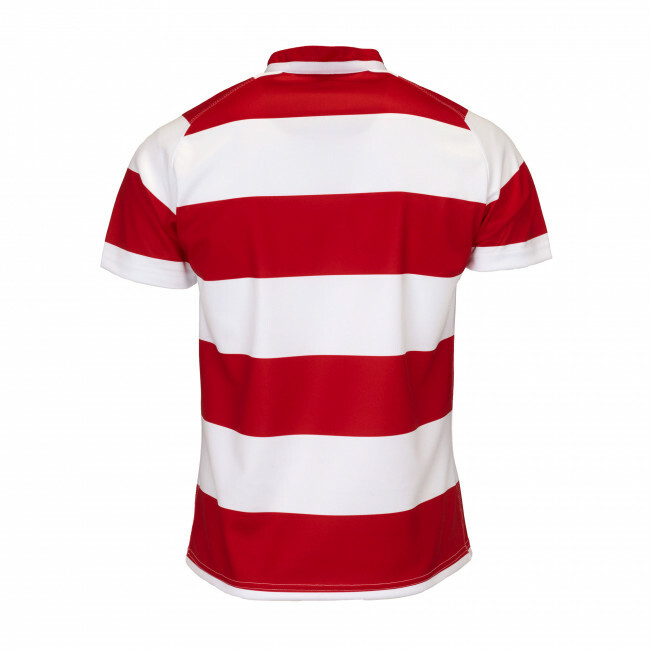 Classical horizontal stripes. Sleeve cuffs with hem. 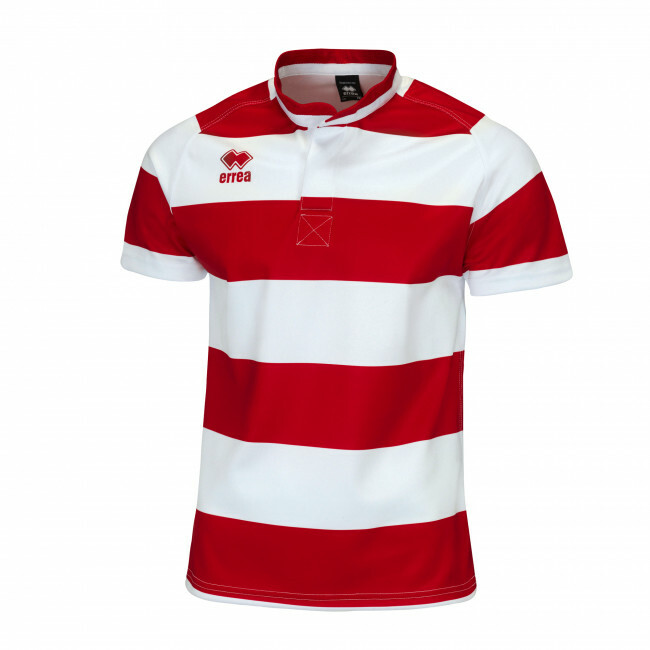 Get ready for your hardest matches with the Treviso rugby jersey for boys by Erreà. 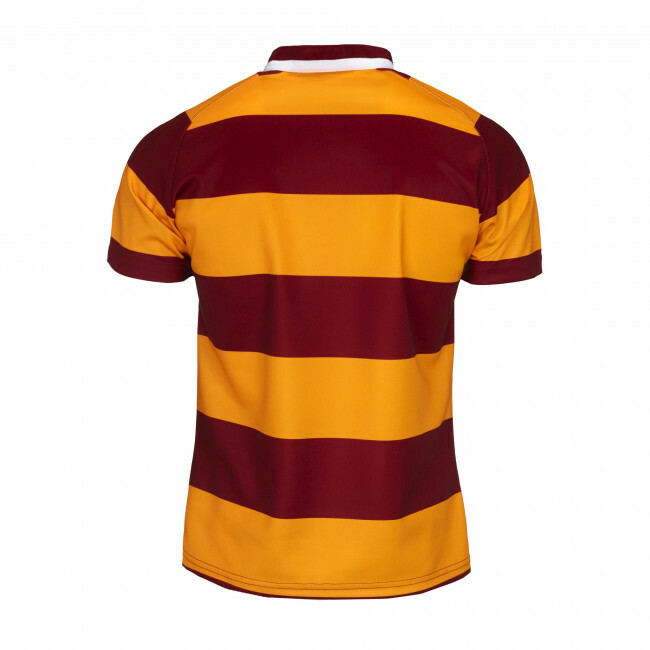 This shirt has been made with a fabric specific for rugby, that brings colours out while maintaining the technical characteristics of the fabric: resistance and durability over time. The Korean crew neck will assure perfect fitting in every movement, also thanks to the button that allows you to slip it on very quickly. 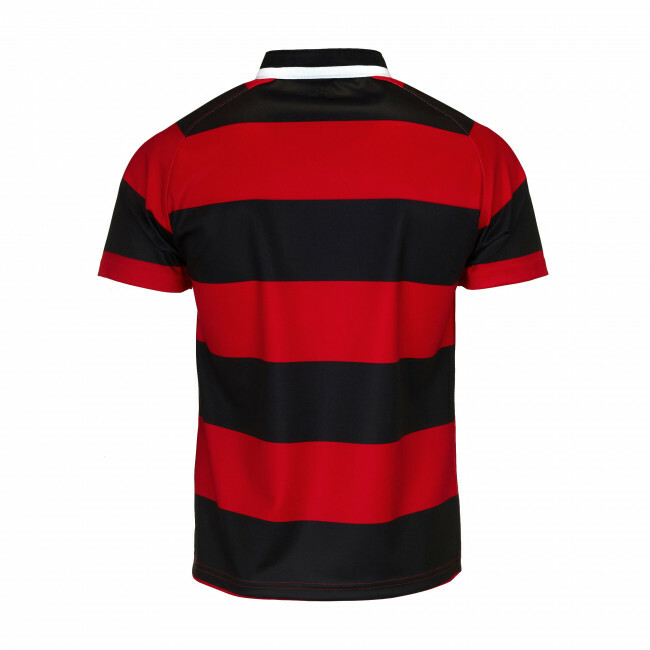 Its raglan sleeves are perfect for action sports like rugby, and they allow you to move freely, without hindrance. 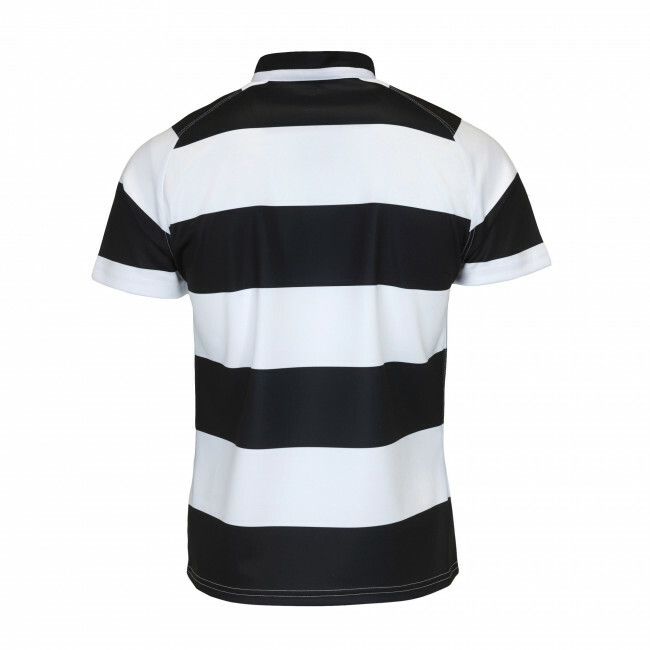 The Treviso rugby shirt has been designed with the classical pattern: large horizontal lines in different colours. A classical style, yet modern comfort. This model has a standard fitting, not too wide yet not too snug-fitting.